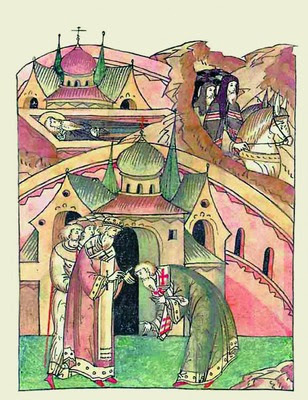 In 1147 Saint Igor Ol’govich (Sept. 19, June 5) was defeated and captured by Izyaslav Mstislavich, the grandson of Saint Vladimir (July 15). 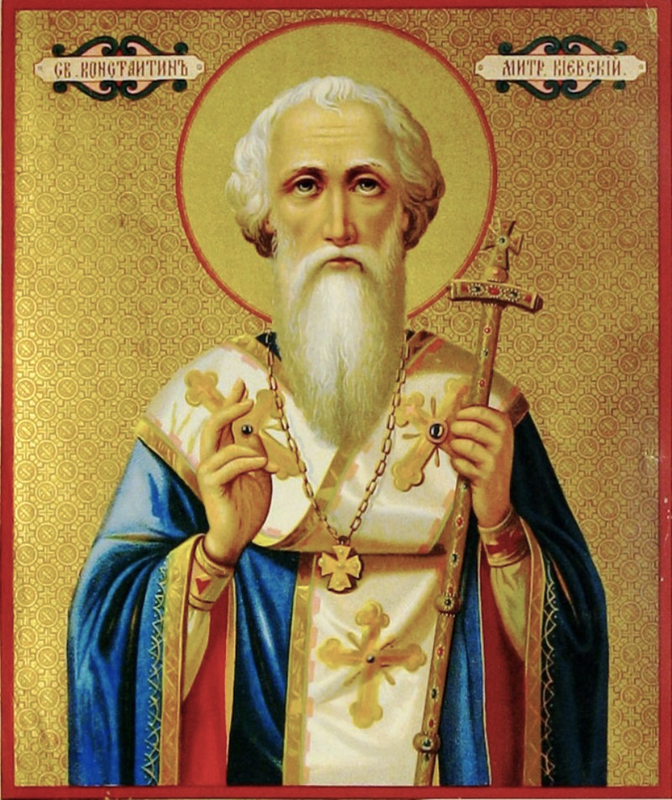 Izyaslav then replaced Saint Igor as Great Prince. Not all of the bishops were in agreement with this plan, notably the holy Archbishop Niphon of Novgorod (April 8). Other hierarchs also refused to participate in the consecration without the blessing of the Patriarch of Constantinople. Nevertheless, Clement’s consecration took place in spite of the objections that had been raised. Patriarch of Constantinople Constantine IV. A miniature from the Facing Chronicle. XVI century. St. Constantin einforms the Bishop Anthony Chernigov about his death. 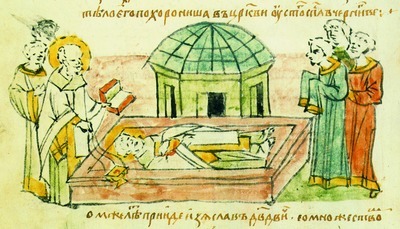 Burial of St. Constantine. 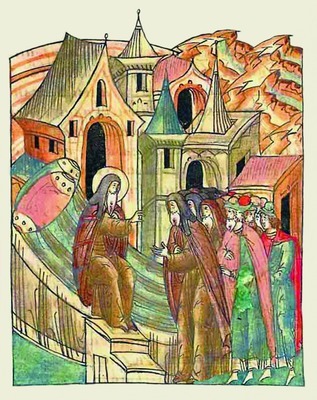 A miniature from the Radzivilovo Chronicle. XV century. 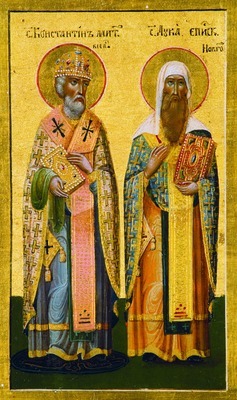 Saints Constantine of Kiev and Luke of Novgorod.